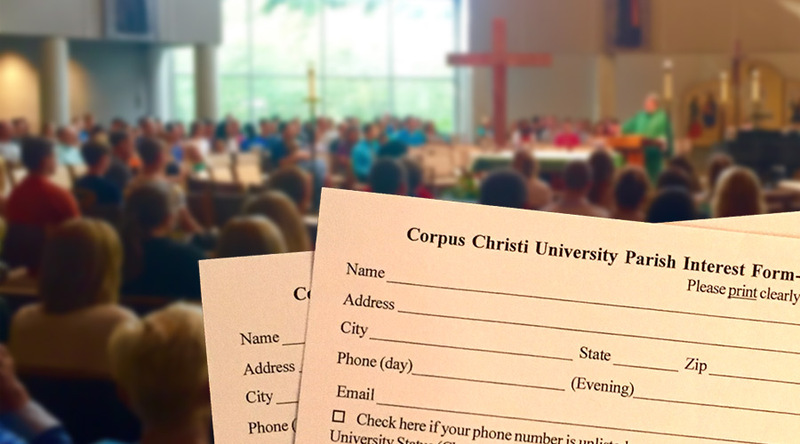 Help us serve you by filling out a registration form. Thank you! Since your information changes each year it is very important that you re-register annually. Students who are registered at their home parish can also be registered here because this will be your University Parish. Please fill out the student registration form and hit submit. Even though you have probably done so in the past, please fill out your registration form again with any updated informtion or changes to your interest sheet. Please fill out the permanent community registration form and hit submit. You can also register by stopping in or calling the Parish office at 419-531-4992.